Paragon Go Virtual converts a live physical Windows machine to a ready to go virtual machine. It is an easy to use virtualization software which can easily clone a Windows system without any problems. Although there are other free software to do this kind of job, Paragon Go Virtual is more professional, safe and performance optimized. The good news is that now you can get Paragon Go Virtual 2015 license for free. Just follow this article to get your free license. The free giveaway comes at a time when Windows 10 has been released. 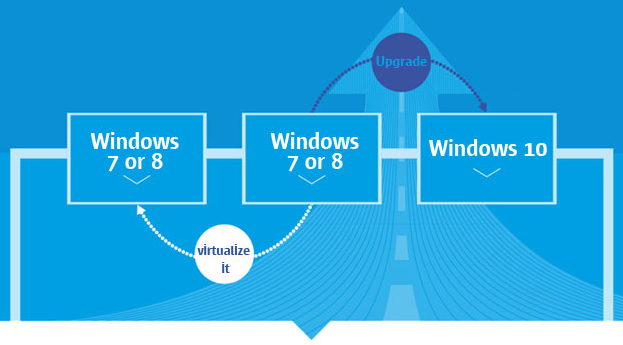 This can be the perfect time you virtualize your current Operating System, be it Windows 7 or Windows 8 and then upgrade your physical system to Windows 10. This way, you can keep using Windows 7/8 and Windows 10 at the same time. Paragon Go Virtual 2015 supports all Windows Operating Systems except Windows 10. Go to Paragon Go Virtual 2015 promo page. Fill in the captcha and your email address and press the “Downlaod it for free” button. Now check your email for details. You will get an email from eservice@paragon-software.com with the details of your account. You will need to login to your account for downloading the software. Under My Account, go to Products –> View Registered Products. Expand Paragon Go Virtual 2015 (English) and download the software from the download link given. A product key will also be listed on the same page. Enjoy the free software and do share your experience with us in the comments below or on social media.